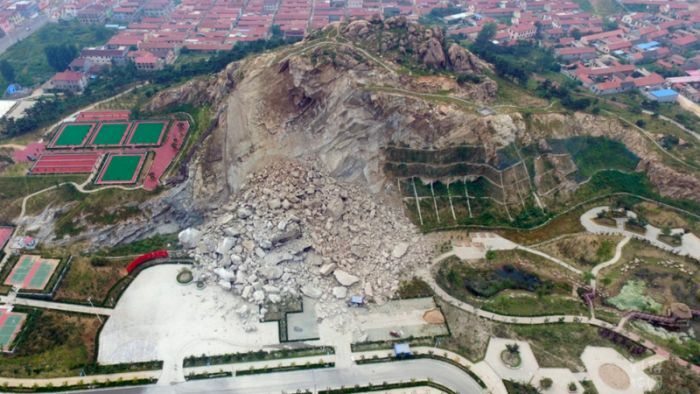 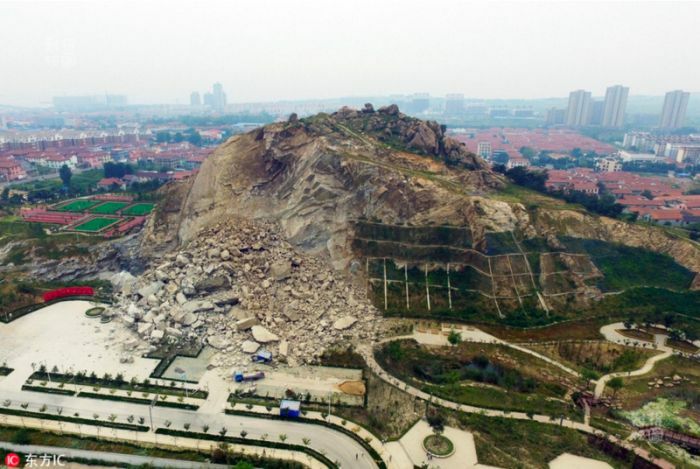 A park in Rizhao, China, was severely damaged just days before it was scheduled to open. 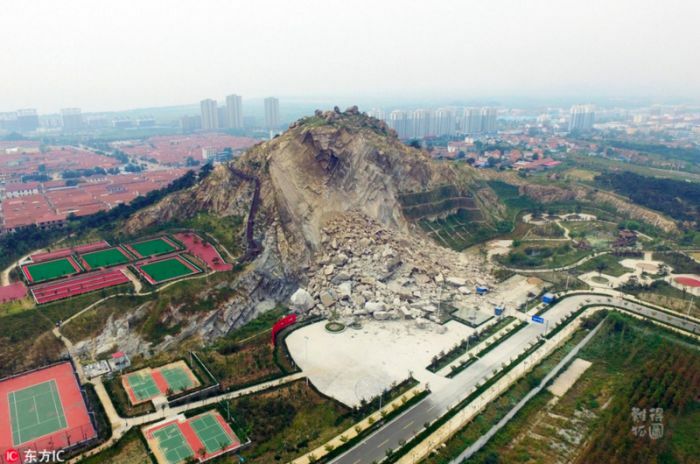 The north slope of the mountain right next to it suddenly collapsed, but luckily there were no casualties. 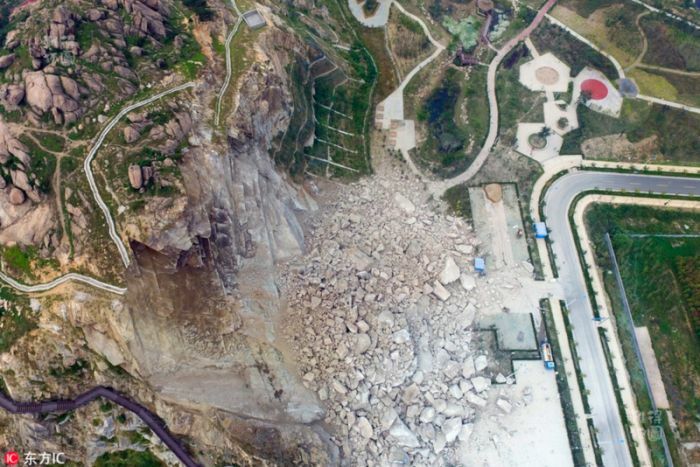 A new facility built at the park was completely wiped out and now workers have to focus on removing the rocks so that they can rebuild.